Unexpected news. I've previously done work on Murphy's West Patricia (shallow water) and Murphy's Kikeh (deep water) offshore oil platforms. And also on Talisman (now Repsol) Bunga Raya offshore oil platform. Canadian Talisman was bought out a number of years ago by Spain's Repsol. And now Reposol wants to buy out Murphy's Malaysia assets. Murphy Oil Corporation is in talks to sell its Malaysian oil and gas assets after an unsolicited bid that could fetch between US$2 billion to US$3 billion, people familiar with the matter said, in the latest energy M&A deal in the Southeast Asian nation. The independent US oil and gas exploration and production company has tapped banks for the potential sale of its majority interests in eight separate offshore production sharing contracts in Malaysia, said the people, who declined to be identified because the matter is confidential. “Murphy wasn’t considering a sale but was approached by a party that put forward a very compelling bid. They are in negotiations,” said one of the people. Murphy, which has been in Malaysia since 1999, could agree on a deal in a couple of weeks, the person said. As an aside - I saw a newflash on Petronas wanting to go into renewables. What is your take on that? Just dipping the toe in for show, or? Malaysia has actually been a net oil importing country for a few years now. Yes, Malaysia is a net energy exporting country once you take into account its LNG exports. Malaysia is around the 5th largest LNG exporter in the world. Take LNG out of the equation and talk only about oil, and the picture changes. Malaysia's large RAPID project / Pengerang complex just North of Singapore is a downstream petrochemical complex. Malaysia will be importing crude oil from Saudi Arabia and Iraq as the feedstock for the massive petrochemical complex. Malaysia will not be using its own domestic crude oil for RAPID. So, knowing that Malaysia's oil & gas reserves will not last forever, Petronas is looking at expanding into renewable energy. That photo in the article is not an offshore oil platform from either Murphy Oil or Repsol. It's just a stock photo. Here is one of my old photos of WPPA which is the main production platform for Murphy West Patricia field. Murphy West Patricia field is in shallow water, about 30 km offshore from Bintulu, Sarawak, Malaysia. Murphy Kikek Is Malaysia's first deep water platform, in almost 1 km deep water, quite a ways offshore from Sabah, Malaysia. Kikeh platform is much larger. I don't have any decent overview photos of Kikeh, as it's a bit difficult to take a photo from the chopper. Repsol's Bunga Raya complex is midway between Malaysia and Vietnam, in the Joint Development Area of the 2 governments. I can dig up some old photos of Bunga Raya if anyone is interested. I do not profess to fully understand the various financial underpinnings of large global oil conglomerates. However, since the US has historically been a "small-player" as a "seller" of oil to "OVERSEAS CLIENTS", it has always made sense to me that US Oil Conglomerates would NEED to have a financial interest in many, diverse, overseas oil-fields in order to stay solvent. BUT, times have changed. The US is now the largest oil producer. Such a change would certainly require some type of change in financial leveraging. If so, we will probably see more US Oil Conglomerates selling off their interest in some overseas oil assets. Interesting theory. However, please note that Murphy Oil was not actually looking to sell its assets in Malaysia. Kikeh in particular was a large, risky gamble at the time for Murphy, and it paid off nicely for Murphy. Interesting theory. However, please note that Murphy was not actually looking to sell its assets in Malaysia. But is that true ? Or is it how Murphy wants the transaction to be seen for pricing purposes. When i was younger, i was advised on several occasions through third parties that a certain girl was interested in me, and yet, when i made a play, i was initially rebuffed ? If i were Murphy, i would want the 3 billion instead of the 2. So i would play "hard to get." Logical enough. 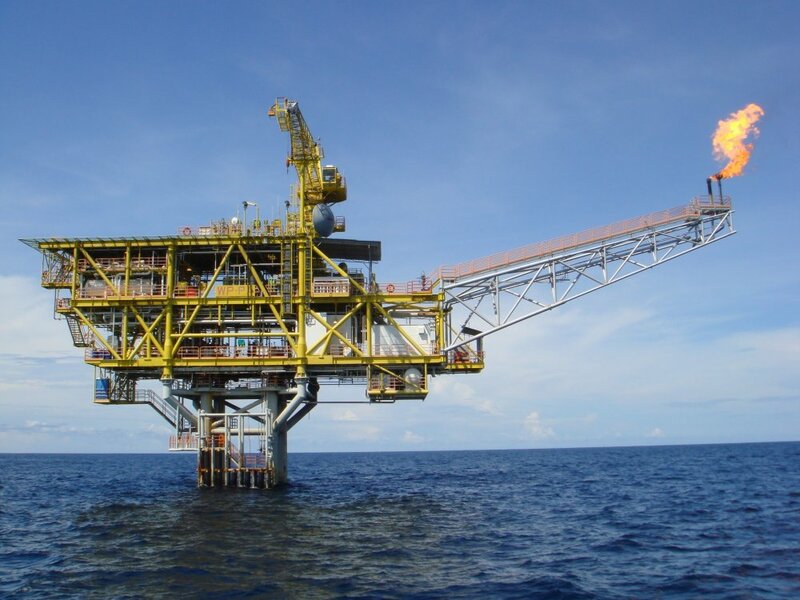 The ongoing politics in East Malaysia oil & gas is heating up, with Sarawak and Sabah challenging Petronas for licensing rights of oil & gas fields. 2019 is actually not a bad time for Murphy Oil to cash in its chips and exit the politics of Malaysian oil and gas licensing complications. Murphy should have already recouped its investments here. ExxonMobil and Shell hadcalready sold off downstream investments here. Petronas licensing requirements are already onerous, and adding in an additional layer of new licensing requirements by Sarawak state starting in 2019 could be the straw that broke Murphy Oil's back.